Cleveland Ohio is the site of the 2011 Annual Association of Personal Computer User Groups. 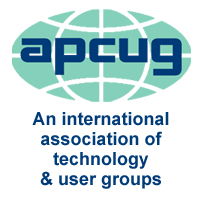 Technology and computers have always been about independence, and this year we gather for the Annual APCUG conference in Independence, Ohio, just eight miles from the Cleveland Hopkins Airport. The conference will start with a sign in and registration on Friday night the 15th of July at approximately 3:00 PM EDT and will be followed by a meet and greet in the lounge. The attendance fee for the conference is $50. This will cover the Friday night meet and greet, a full day of workshop sessions on Saturday, and a half-day on Sunday. The final conference schedule is being worked out, but some of the currently booked workshops and general sessions will include Virtual Machines, MAR’s Refurbishing & Recycling, iPad features along with using iPad for e-books, Windows Tips & Techniques, The Linux Guy, Linux and the future of computers, Safe data destruction, Ins and Outs of Skype, OneNote, Q&A sessions with the Board of Directors and the Board of Advisors, and fund raising. We have several slots that need to be filled for presentations as well as a possible Digital Photography, Genealogy, and Tips for maintaining and growing user group membership. We have negotiated a $79.00 night room rate plus applicable taxes. Additionally this rate will apply for 3 days before the conference and 3 days after for those who would like to arrive early or stay over and do some sight seeing.